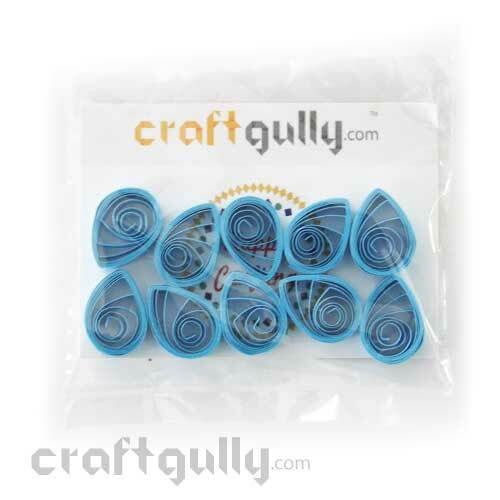 Coiled to perfection, use these readymade quilled shapes for your projects. Size: Approx. 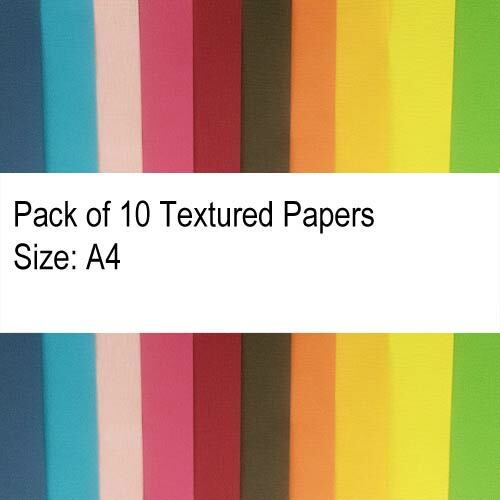 17mm x 12mm Height: Approx 5mm Quantity: Pack of 10 Color: Golden Yellow True colors may vary slightly from what you see on your screen..
Coiled to perfection, use our readymade quilled shapes for your projects. Size: Approx. 17mm x 12mm Height: Approx 5mm Quantity: Pack of 10 True colors may vary slightly from what you see on your screen..
Coiled to perfection, use these readymade quilled shapes for your projects. Size: pprox. 17mm Height: Approx 5mm Quantity: Pack of 10 Color: Golden Yellow True colors may vary slightly from what you see on your screen..
Coiled to perfection, use these readymade quilled shapes for your projects. Size: Approx. 15mm Height: Approx 5mm Quantity: Pack of 10 Color: Leaf Green True colors may vary slightly from what you see on your screen..
Coiled to perfection, use these readymade quilled shapes for your projects. Size: Approx. 15mm Height: Approx 5mm Quantity: Pack of 10 Color: Orange* *True colors may vary slightly from what you see on your screen..
Coiled to perfection, use these readymade quilled shapes for your projects. Size: Approx. 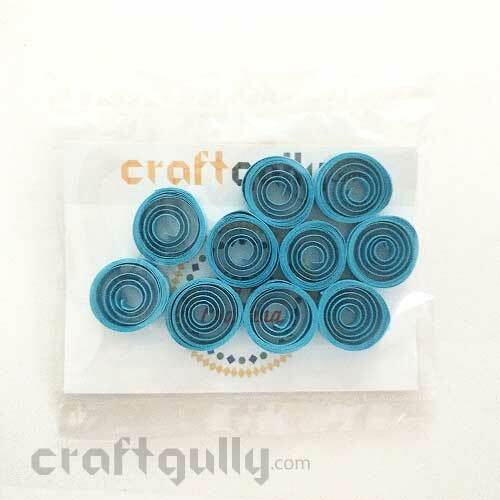 15mm Height: Approx 5mm Quantity: Pack of 10 Color: Sky Blue* *True colors may vary slightly from what you see on your screen..
Coiled to perfection, use these readymade quilled shapes for your projects. Size: Approx. 10mm Height: Approx 5mm Quantity: Pack of 20 Color: Assorted* *Colors shown are indicative, and may differ..
Coiled to perfection, use these readymade quilled shapes for your projects. Size: Approx. 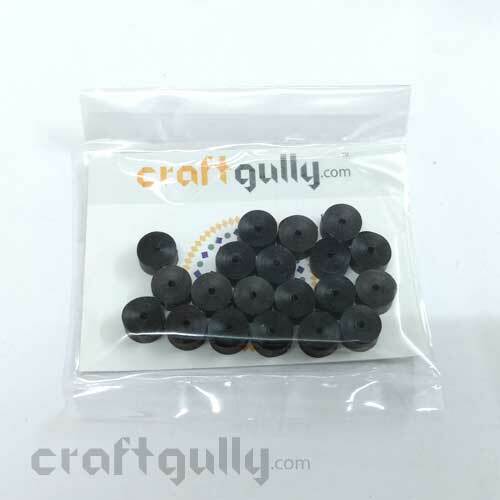 10mm Height: Approx 5mm Quantity: Pack of 20 Color: Black* *True colors may vary slightly from what you see on your screen..
Coiled to perfection, use these readymade quilled shapes for your projects. Size: Approx. 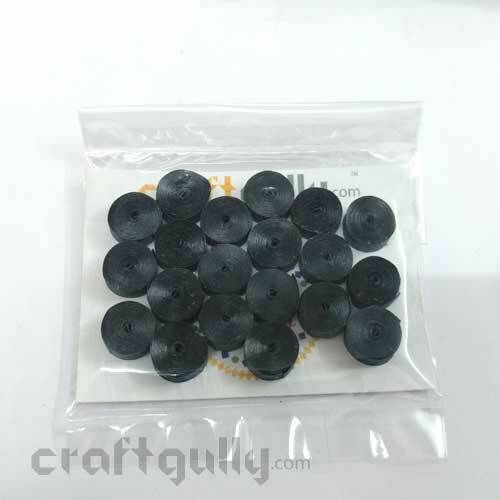 10mm Height: Approx 5mm Quantity: Pack of 20 Color: Blue Granite* *True colors may vary slightly from what you see on your screen..
Coiled to perfection, use these readymade quilled shapes for your projects. Size: Approx. 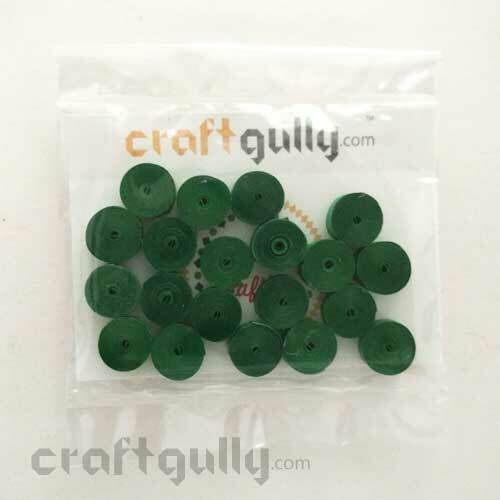 10mm Height: Approx 5mm Quantity: Pack of 20 Color: Bottle Green* *True colors may vary slightly from what you see on your screen..
Coiled to perfection, use these readymade quilled shapes for your projects. Size: Approx. 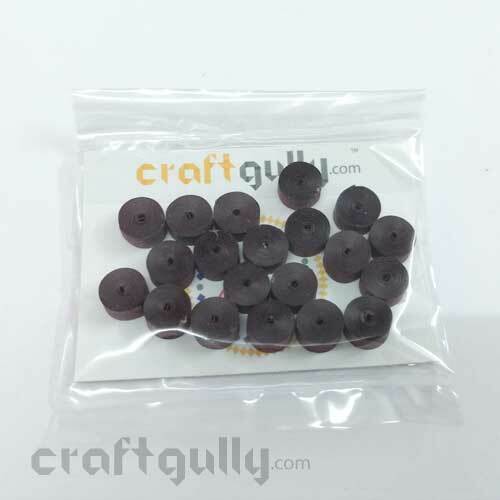 10mm Height: Approx 5mm Quantity: Pack of 20 Color: Brown* *True colors may vary slightly from what you see on your screen..
Coiled to perfection, use these readymade quilled shapes for your projects. Size: Approx. 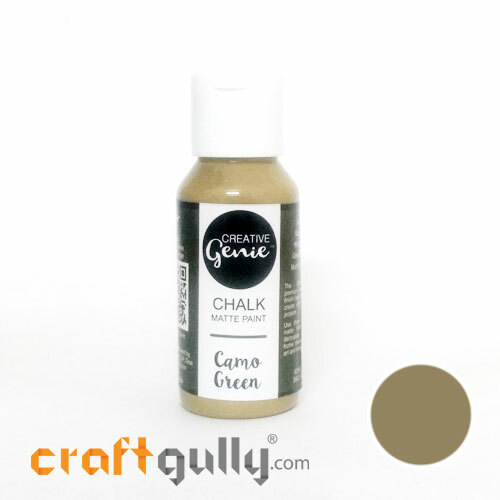 10mm Height: Approx 5mm Quantity: Pack of 20 Color: Cream* *True colors may vary slightly from what you see on your screen..
Coiled to perfection, use these readymade quilled shapes for your projects. Size: Approx. 10mm Height: Approx 5mm Quantity: Pack of 20 Color: Dark Red* *True colors may vary slightly from what you see on your screen..
Coiled to perfection, use these readymade quilled shapes for your projects. Size: Approx. 10mm Height: Approx 5mm Quantity: Pack of 20 Color: Maroon* *True colors may vary slightly from what you see on your screen..
Also called paper filigree, quilling is a paper craft form which uses paper strips which are rolled, shaped, and glued together to create decorative designs. 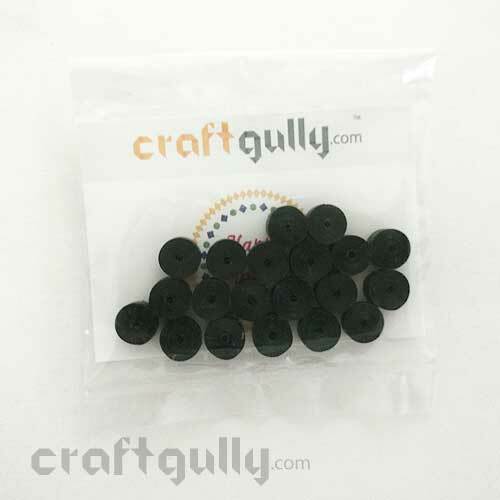 Our quilling products are of the highest quality.Width: 3mm Length: Approx. 17 inches Quantity: Approx. 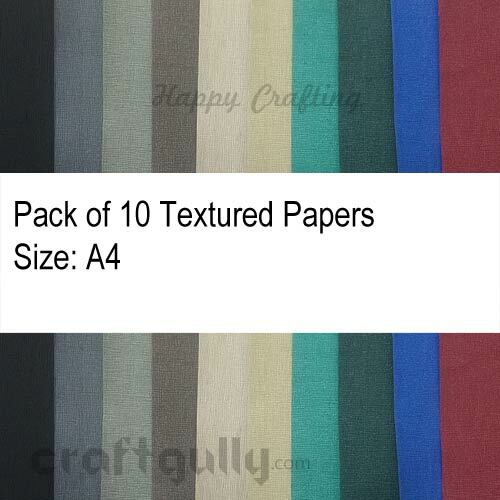 200 strips in a pack Color: Water Theme* Quilling paper strips normally come in 3-4 sizes varying from 3mm to 10 mm, depending on what it is that you want to quill. For instance, in the case of coils and regular quilling shapes, a 3mm or 5mm strip is preferred, while in case of fringed flowers or base structures for miniatures, you could use 7mm or 10mm strips. *True color/s may vary slightly from what you see on your screen. ..
Also called paper filigree, quilling is a paper craft form which uses paper strips which are rolled, shaped, and glued together to create decorative designs. Our quilling products are of the highest quality.Width: 3mm Length: Approx. 17 inches Quantity: Approx. 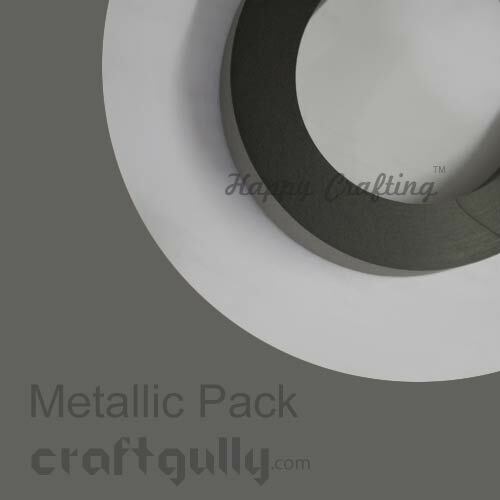 100 strips in a pack Colour: Metallic Dark Grey* Quilling paper strips normally come in 3-4 sizes varying from 3mm to 10 mm, depending on what it is that you want to quill. For instance, in the case of coils and regular quilling shapes, a 3 mm or 5 mm strip is preferred, while in case of fringed flowers or base structures for miniatures, you could use 7 mm or 10 mm strips. *True color/s may vary slightly from what you see on your screen. ..